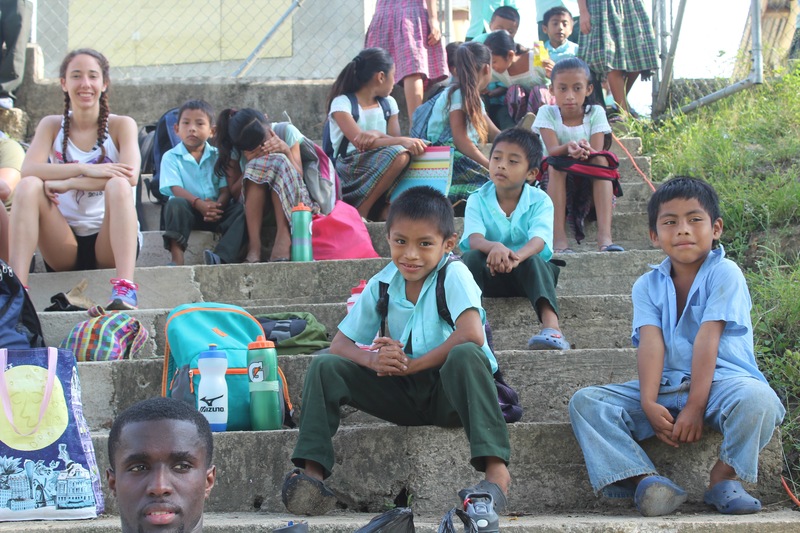 Our trip to Belize was nothing short of extraordinary. 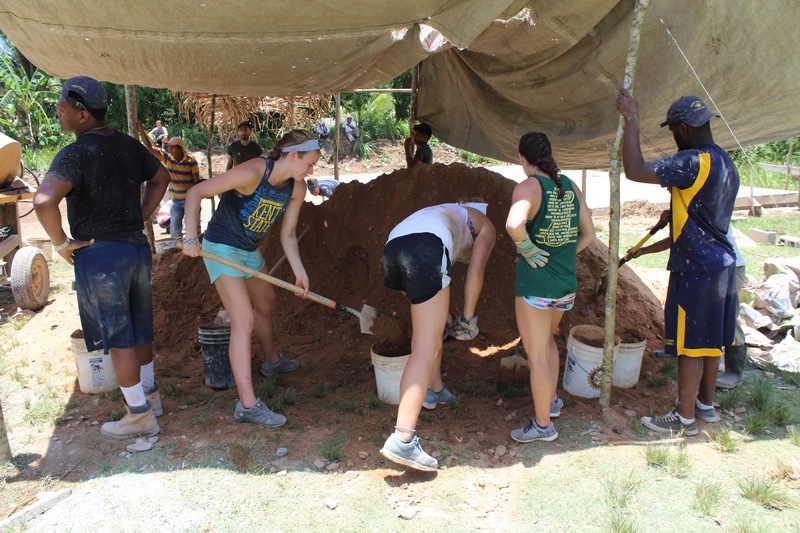 Although there were a lot of things that came up, we all had a blast working with the community members of Aguacate and being welcomed with open arms into their homes. 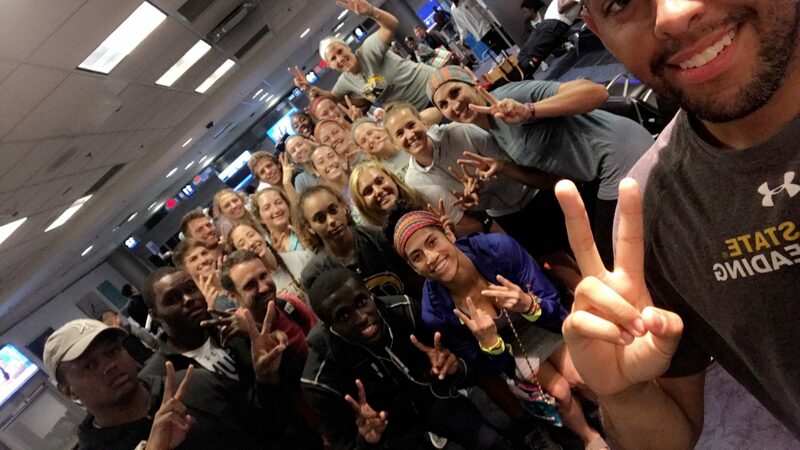 Never in a million years did I expect to be able to come on a trip like this and get the chance to help a community and introduce sports to them, something that has had such an enormous impact on our lives as student-athletes at Kent State. 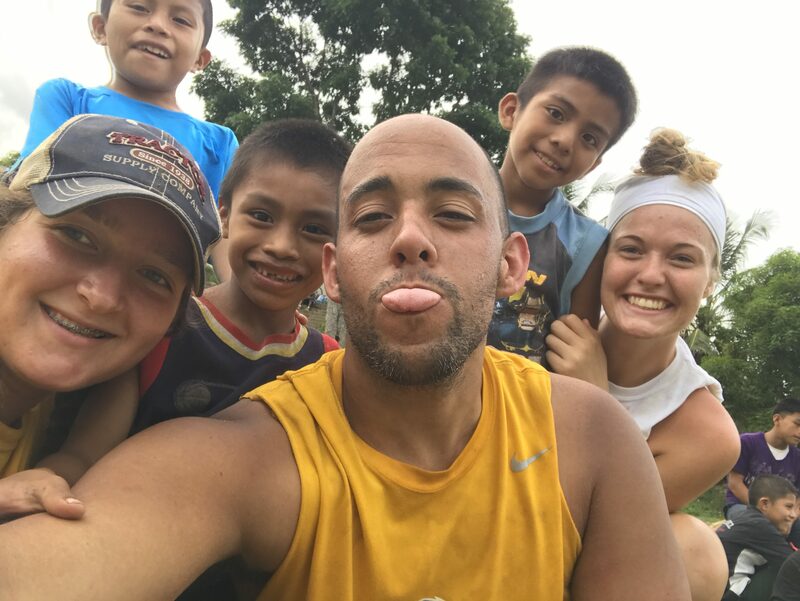 We flew in to Belize City and were greeted by our bus driver and one other community member that took us on a 6-hour bus ride to Aguacate with beautiful scenery along the way. The women of the village packed us a cooler filled with tamales to eat for lunch, so we stopped to eat and continued to Aguacate. The community members greeted us that night as we arrived and we were then assigned host families with whom we had dinner that night. The heat was overbearing at first, but nothing we couldn’t handle. The following morning, we got right to work! On a typical work day, we started around 5:30 in the morning. 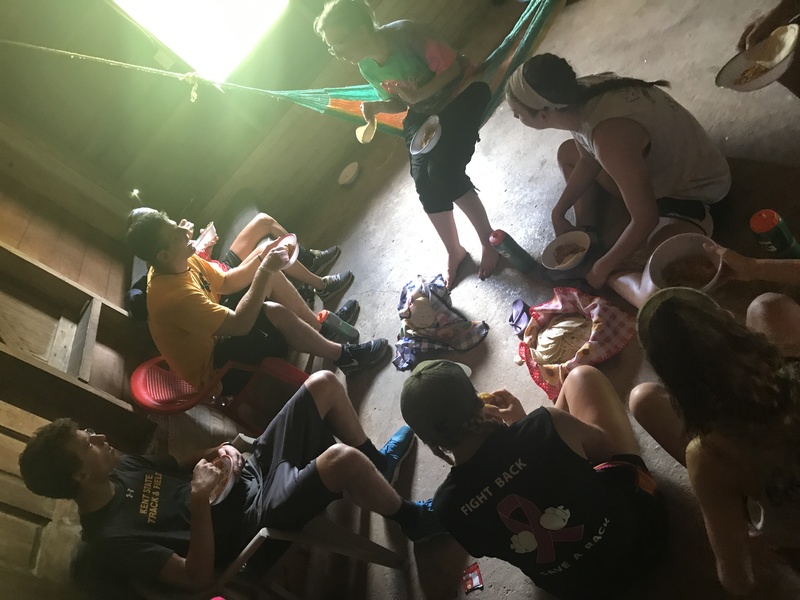 After eating breakfast with our families, we would go down to the court and work, only stopping for our snack break, which involved fresh fruit, and then stopping at 11:30 am go to get ready for lunch at 12:30 pm. The ladies of the village would teach some of us girls how to make the tortilla rounds and place them on the stove with them. After lunch, we would take a few hours to rest and then get back to work between 3 or 4 in the afternoon until 6 in the evening. Evenings were when we really got a chance to hang out with our host families and get to know them after dinner each night. 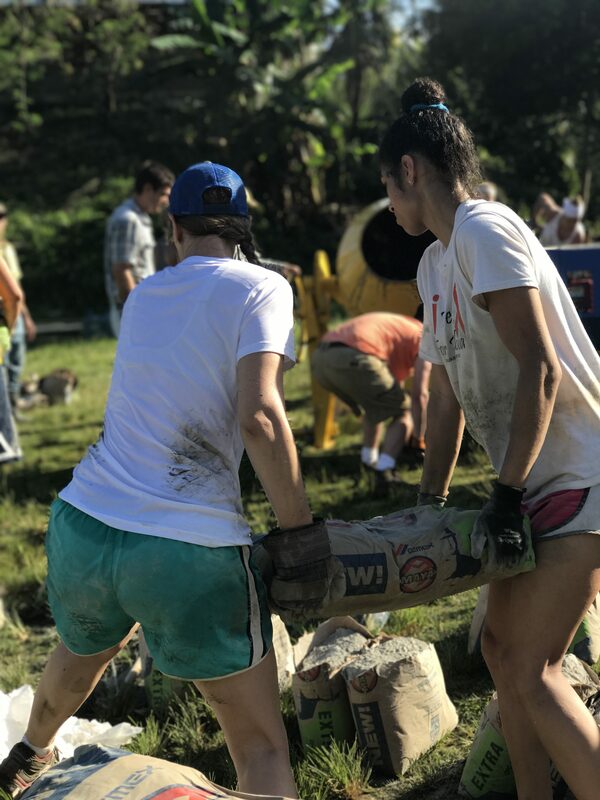 For our trip, we worked almost every single day, but working through all the obstacles helped us to grow closer, not only to one another but to the members of the community. 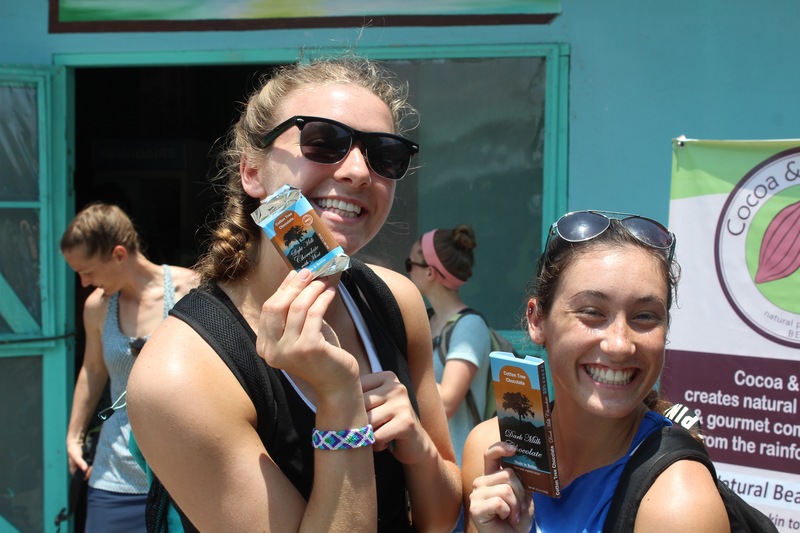 On the fifth day we were there, we got to go to Punta Gorda for the Cacao Festival! It turned out to be a beautiful day and we got to explore the town, enjoy the festival, dance a little with the locals, and do some shopping! 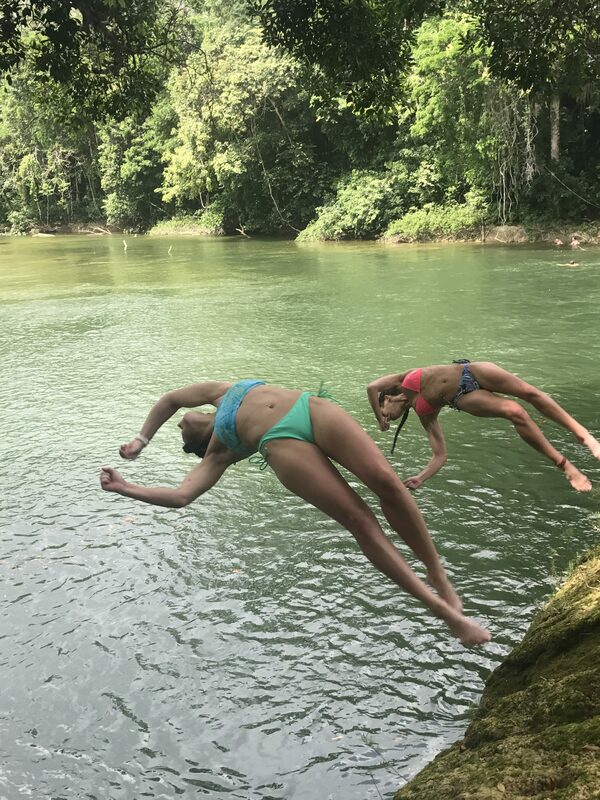 We also took a 7 mile hike through the jungle and saw an awesome waterfall where we went swimming and got to swing from a branch and jump into the water! We had lunch and just got a chance to relax from all the challenging work we were doing. 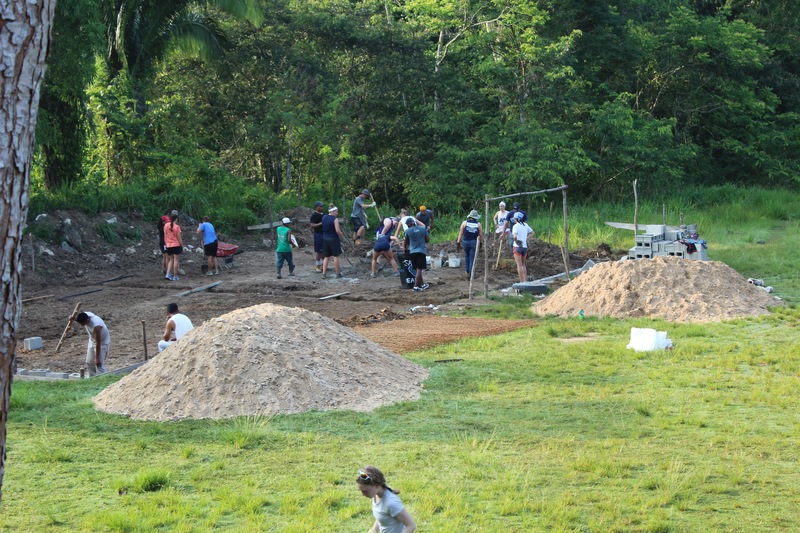 On the following day, it had rained all night and it was too wet to lay the concrete the following day, so we got to walk to a cave that opened to a big sink hole. It was awesome! 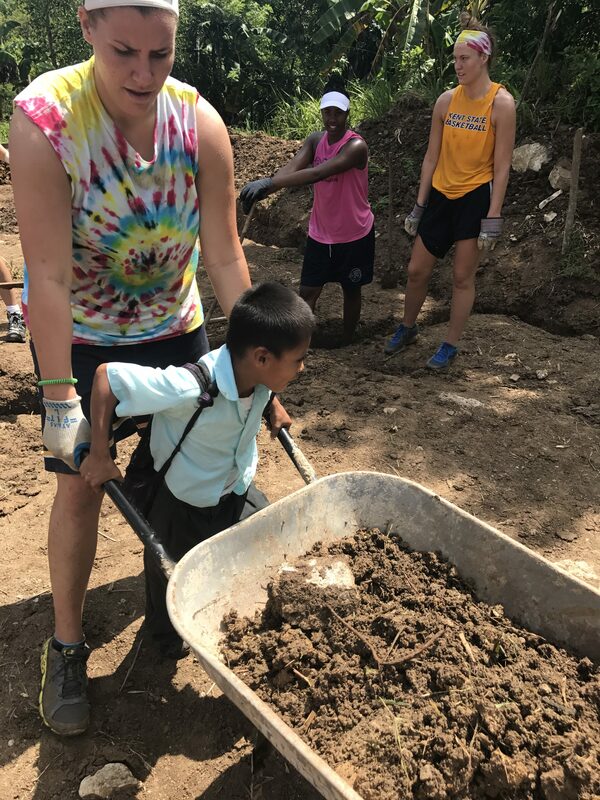 The most memorable part of this trip was not building the court, but being able to interact with all the children during recess and after school when they would be playing in the field next to where we were working. Sometimes they would come and sit alongside the court watching us level the dirt or mix the concrete or even just to ask us to come play with them, which, most times, we ended up doing. None of us were prepared for all the obstacles and injuries we would encounter, but the kids and community members made it worth our while. Whether it was finding a poisonous snake, cutting your leg on rebar, finding a tarantula, having your GoPro sink to the bottom of a 60-foot-deep waterfall, having a chicken lay eggs on your bed, washing our clothes in the river with the locals, getting heat rash, or someone getting sick, Courts for Kids has given each of us all at Kent State the opportunity of a lifetime that we will never forget. 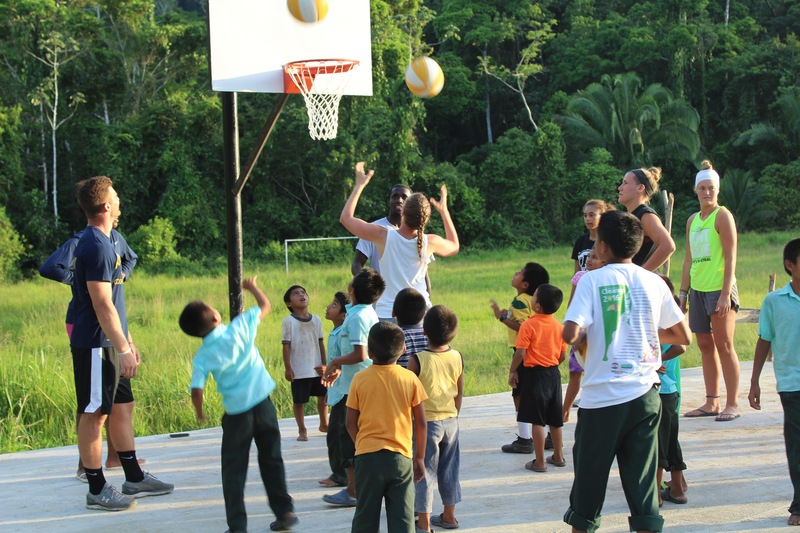 The work we did was very strenuous, but the experience you get from building that court was incredible. This experience was something that has opened all our eyes and we will be forever grateful. Although we didn’t get to finish the court, it was great to see the kids and adults utilizing the half of the court that had dried before we had to say our goodbyes and how much fun everyone was having on it! It was a very humbling experience being able to share such a big part of our lives with everyone and seeing their eyes light up more and more each time they came down to see how much progress we were making each day. 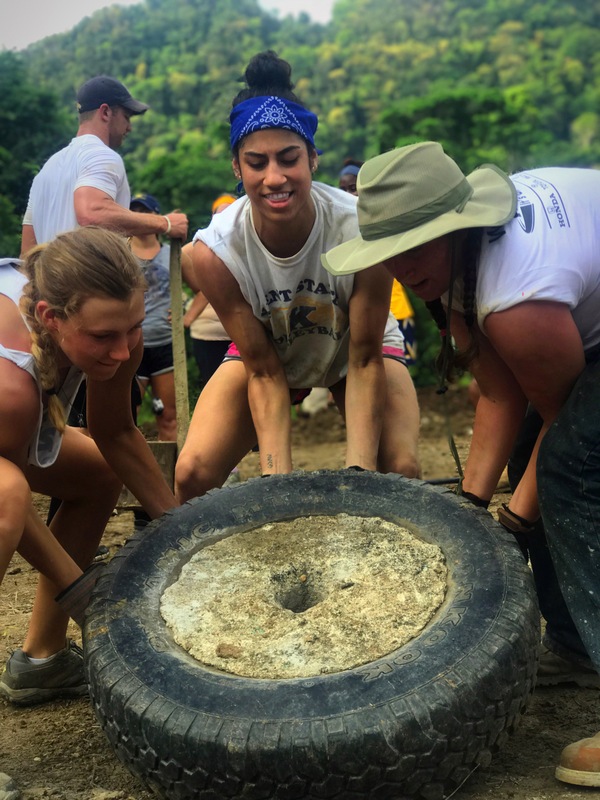 This trip wasn’t just about building a court, it was about learning and connecting with unfamiliar cultures and sharing your culture and background in the process. Leaving the village was hard, but I know a lot of us are planning on coming back to visit when we can to reconnect with everyone we met along the way. We’ve been home for a couple days now, but I know the relationships that were formed will always be there. When the weather is unpredictable and cold in Ohio, we will definitely remember all Belizean sunshine we got during our trip! UPDATE: The court has been completed immediately following our departure!